Just like Titanic and the first Avatar before it, Avatar 2 is another James Cameron movie that has been constantly delayed. It was originally set for release way back in 2013. But it has now since been pushed to December 2018, nearly a decade after the original debuted in 2009. 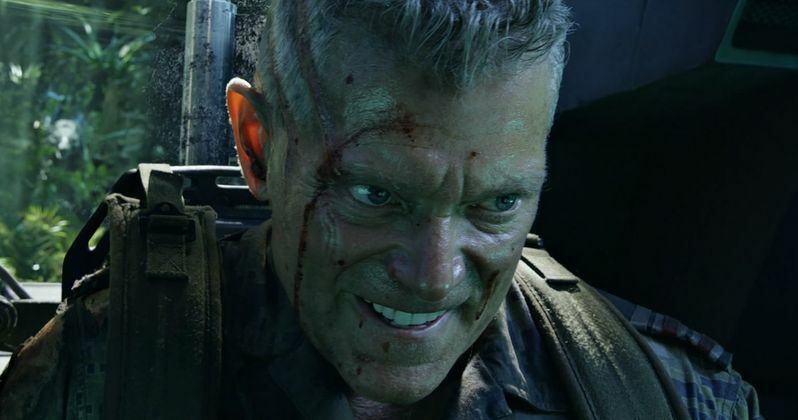 Villain Stephen Lang is set to reprise his villain role as Colonel Miles Quaritch, a job that is keeping him from becoming Cable in Deadpool 2. In a recent interview with Aint It Cool News, Lang confirmed that the movie will begin shooting early in 2017 to make it's intended release date. He had this to say about the delay. "Yeah, the reading of things. We're getting there. We're in good shape. We'll be starting certainly early in the new year. But you know, the thing is, as you can imagine with a film like Avatar, it's not like the work hasn't been going on. The design, the production design, the various worlds, and creatures and environments, that's all being worked on." Stephen Lang is quick to acknowledge that James Cameron and his Avatar team have been working on the sequel since the original opened six years ago. And it almost sounds like the actors are an over site. Perhaps, the ensemble cast, which will include returning actors Zoe Saldana, Sam Worthington and Sigourney Weaver is the least of James Cameron's problems. It sounds like most of their scenes will be shot as motion-capture against green screen. Lang goes onto say this about the production. "That's what he's done, he creates problems in which he then needs to invent a technology and a new way to do it, and I believe that's part of the quite perverse joy for him in this is creating these seemingly insurmountable problems, and then bringing aboard people who can be helpful and say, "This is what we've got to do." So it's a massive effort, but I have every expectation because I'm pretty intimately aware of what's going. It's going to be an absolute joy to behold." Avatar 2 is coming in December 2018, Avatar 3 will arrive two years later in 2020, and then Avatar 4 and Avatar 5 are arriving back-to-back in 2022 and 2023. While Stephen Land is confirmed to return in Avatar 2, his overall fate in the franchise is not known, and it isn't clear if he'll be back for all of these sequels. We'll be sure to keep you posted as more Avatar 2 news breaks. Hopefully, the movie doesn't get delayed any further.